7 Budget Friendly School Holiday Activities Your Kids Will LOVE! I have just a few more days with my girls before they start back at school for Term 4- and if you’re anything like me, you might have found yourself running out of ideas for things to do for the final week of school holidays. With just a few days left and a whole six weeks of Christmas holidays ahead of us in just a few months, I thought now was the perfect time to share some of Nawal, Neve and my favourite things to do in the school holidays. Now, this idea might not work for boys – but for girls, it’s a huge hit. Kids love feeling like grown-ups and an at home spa day is the perfect way to spend some quality time together whilst making your kids feel extra special. Get some face masks, put on your fluffy slippers and robes, light some candles, slice up some cucumbers and bring out the nail polish for some at home pampering. It's not a movie day without popcorn! A trip to the cinema can be expensive – and often it’s more of a hassle than it is enjoyable. Skip the lines and set up your own movie cinema at home. Make a big bowl of popcorn, set out your favourite snacks and let everyone pick out a movie to watch. Want to do a little something extra? Why not pick a theme? You could have a Harry Potter Marathon with chocolate frogs and chocolate dipped pretzel “wands” or a Finding Nemo theme with goldfish crackers (Australians, you can find these at Costco!) and “ocean” jelly cups. 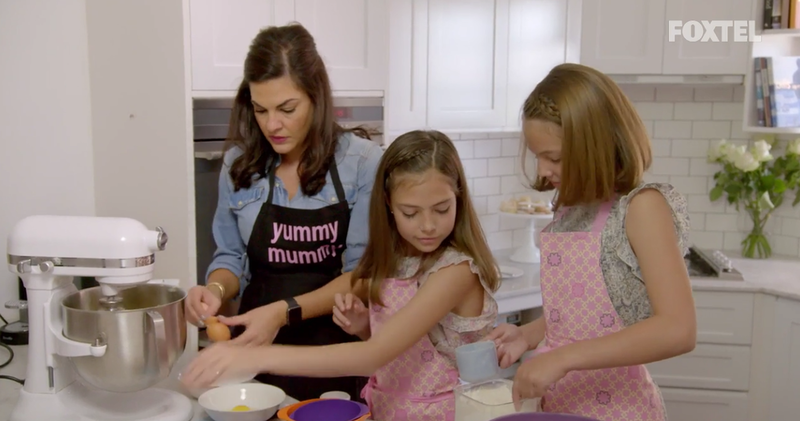 I love to cook and bake with my girls and they love it too. Why not create something with your kids? Not only does it teach them how to cook, you’re also improving their math skills without them even realising! Looking for some extra company? Why not round up some friends and head out for a picnic at a local park or beach. My girls love taking photos and I know they’re not the only kids who do. Why not go on a photo hunt together? Put together a list of photos to take and go on a search around home or the local park to take those photos. For older kids, you can use broader terms like “light”, “happy”, “high” etc whilst little kids will need a list that’s more specific like “train”, “bug”, “sky” etc. If you’re stuck for ideas, do a google search for Instagram photo challenges as they always have plenty of ideas! It might be gooey and gross - but kids LOVE it! I know, you’re probably shaking your head right now… but slime is all the rage and kids LOVE it. Find a simple recipe and spend some time in the kitchen with your kids… just be prepared for a bit of mess! These are just a few ideas – but I would love to hear what you and your kids love to do in the school holidays. Leave a comment on my post on Facebook or Instagram and let me know what you get up to in the school holidays! 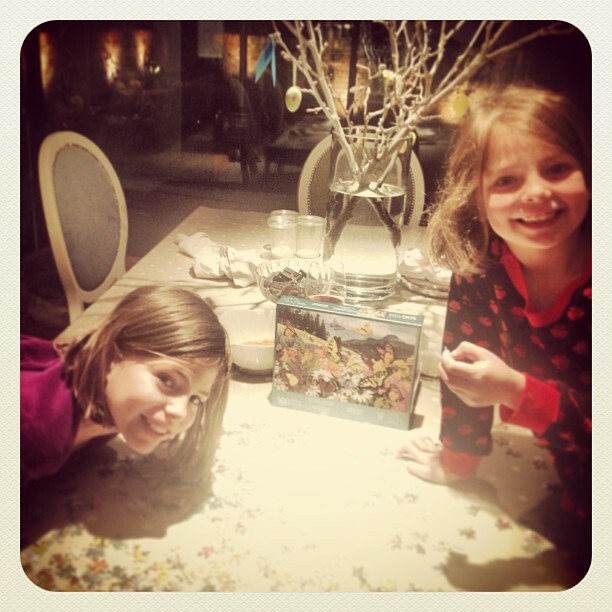 Neve LOVES jigsaw puzzles - and it's one of the perfect things to do on a rainy day or a random day in the school holidays. If jigsaw puzzles aren't your thing - why not try a board game or even bring out the colouring books and pencils.